Tonight I was installing another trellis out front for the Sweet Autumn Clematis. 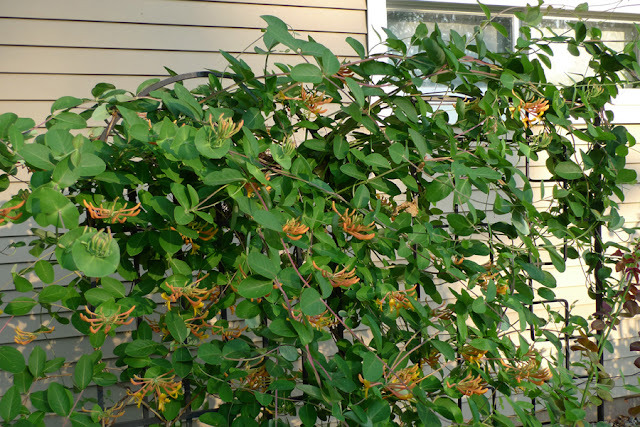 Over a month ago (at least) I had purchased another trellis for the honeysuckle vine, also out front (see below). 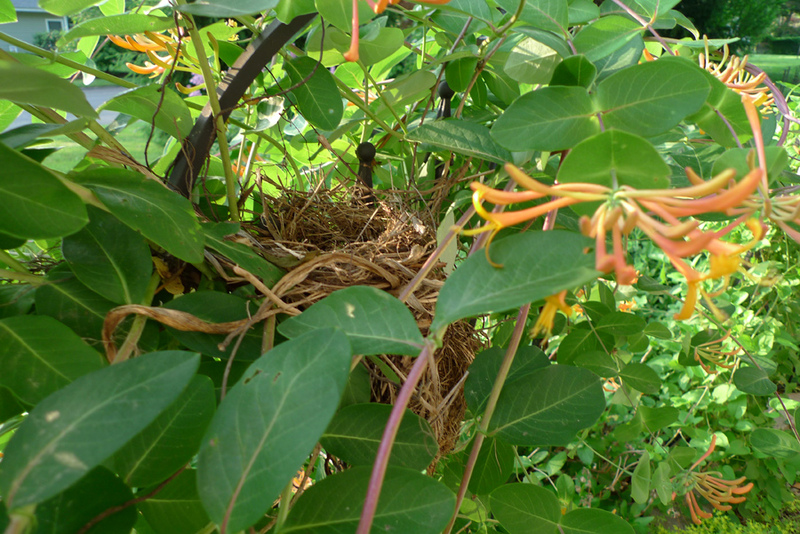 Tonight, after installing the trellis, I was walking behind the honeysuckle vine and did a double take. 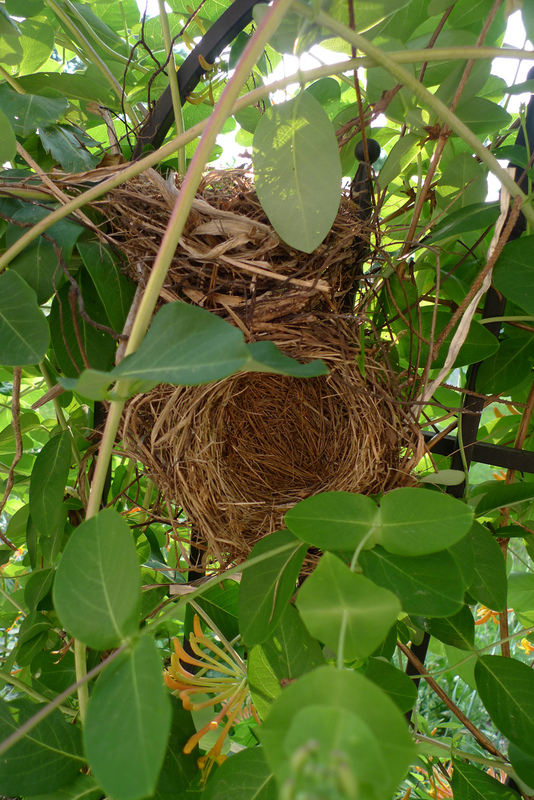 There tucked among the vine was not one, but two, bird's nests! 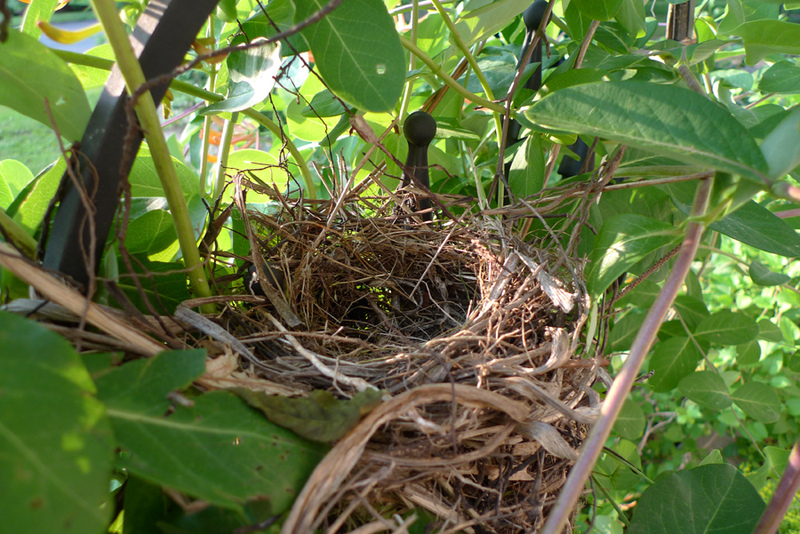 There are not any eggs in either nest, but with the help of the Certified Wildlife Habitat Facebook page, I've narrowed it down to a yellow warbler (who I've never seen) or a cardinal. At first I thought it was a Carolina wren, since I've read that the male makes several nests and then shows these off and "shops" with his lady friend until they find the right nest. But based on photos I've found online, these look pretty big to be for the wrens. Any thoughts?